House of Dogs is an online shop for dog lovers that provides a wide range of quality products for both owners and their dogs. Oh, I started because I got a greyhound almost 10 years ago and at that time it was two winters in a row at -30 Celsius. That’s really cold for a dog with literally no body fat! 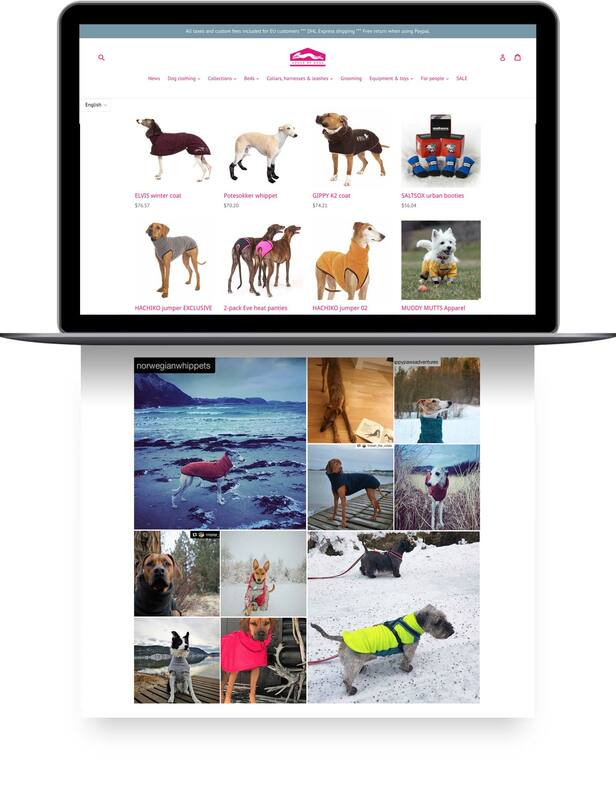 And I could not find any shop with functional dog clothing which was really good at low temperatures, was made with good materials and had a great fit. Until I found my current supplier. That was a match at the first try. Now we are proud distributors for all of Scandinavia, with a base in Norway, and we do sell to the whole world. It wasn’t difficult, but it’s a lot of work – at least if you want to do it properly and “right”. You have to think of everything from collection name to which picture is the best representative of your product, to SEO and marketing, so the amount of tasks are endless. To start and run a shop is a never ending to-do list. I use it first and foremost to give the customers an opportunity to get a note when their desired item is in stock again. That’s a fantastic service and has an enormous conversion rate! Then I use it to restock and order more production from my suppliers. Is it difficult getting dogs to pose in your products? Oh, not, it is not difficult to get dogs to pose, it is difficult to take picture of them right on time! Luckily, we have MANY wonderful customers supplying us with photos of their dogs both on Facebook, Instagram and on email and letting us to use them in our channels. We are VERY grateful for that, because it shows the range of our products in a much better way than we could provide ourselves and it also shows how good our products are. You’ve been using Back in Stock for around a year. What originally drove you to install Back in Stock on your store? The fact that I was having 10-15 pages of notes on customers waiting for a message whenever their desired product come and the amount of time it took to find out who was waiting for what every time I got restocked, not to talk about how long time it takes to send out emails. My former shop platform did not have that service, so this was one of my “must have” functionality when I decided to go to Shopify.